As we learn more of the Cold War in class from Dr. Putnam it is obviously that today we are still dealing with issues with Russia. 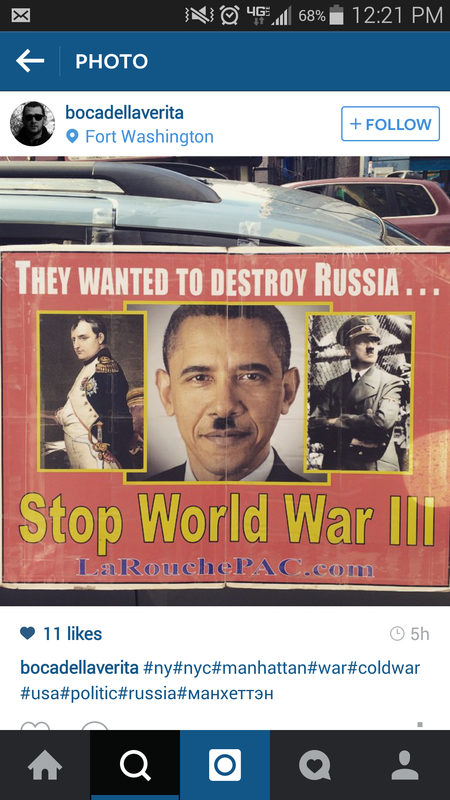 In this instagram post it is portraying Obama as Hitler and showing that people believe he is also trying to destroy Russia. This is showing that we may believe that the Cold War maybe over but could another one be starting again?